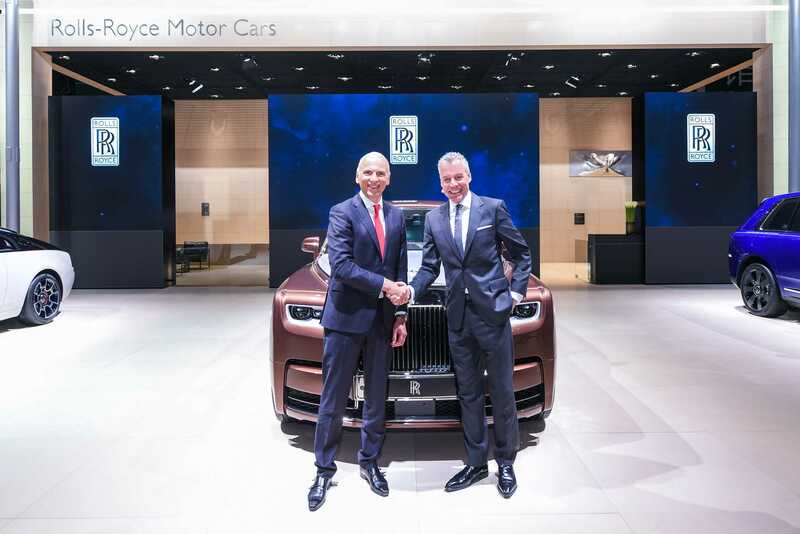 As the world's top luxury brand, Rolls-Royce is gaining ever increasing favour amongst young, ultra-high-net-worth Chinese customers who are attracted to the brand’s youthful model range, and exceptional personalisation options. Phantom, which is Rolls-Royce’s pinnacle product, sells more in China than anywhere else in the world. Phantom Extended Wheelbase featuring Privacy SuiteCrafted for those seeking sanctuary and privacy within the rear compartment of their Rolls-Royce, the Phantom Extended Wheelbase featuring Privacy Suite, is an innovation that provides unrivalled levels of privacy and luxury for the Marque’s discerning patrons. Bespoke Ghost Extended WheelbaseThe Bespoke Ghost Extended Wheelbase on display in Shanghai represents the true duality exhibited in this extraordinary vehicle. Combining elegant design cues from the past with contemporary style, Ghost stands as the unequivocal choice of pioneers, entrepreneurs and tastemakers as they continue to blaze a path in their chosen career. Nowhere in the world is this clearer than in the Chinese market. Ghost was the top selling model in the Greater China Market in 2018 and continues to prove popular with the society’s entrepreneurs and businessmen and women. CullinanCullinan is the result of years of collaboration with patrons and clients alike. Rolls-Royce refused to enter the market with anything less than perfect and Cullinan has delivered. Launched to global acclaim last year, Cullinan received effusive headlines in the media, as well as an enthusiastic welcome from patrons. 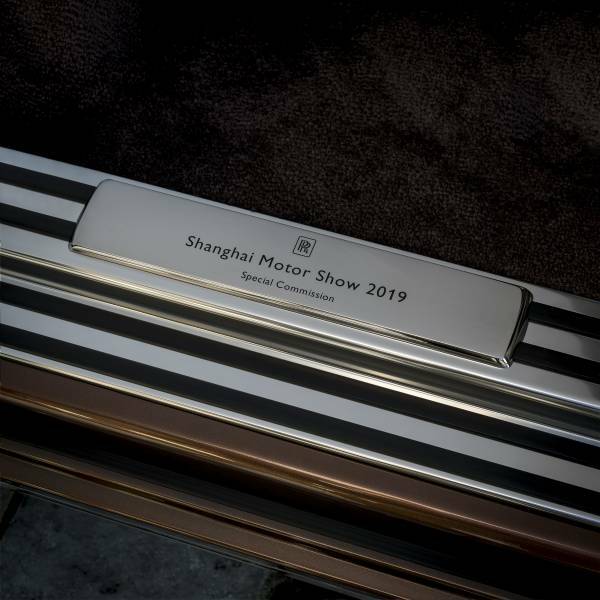 The Shanghai 2019 Bespoke Cullinan on display is a symbol of what the craftspeople at The Home of Rolls-Royce at Goodwood are able to achieve given a machine of exquisite artistry. Wraith Black Badge Wraith Black Badge speaks to the darker, more assertive, confident and demanding aesthetic of a new breed of Rolls-Royce customer – today’s generation of young, self-confident. trendsetting, cosmopolitan citizens of the world. This alluring guise has attracted the attention of Rolls-Royce’s younger, self-empowered, Chinese Patrons. These customers seek adventure and are unapologetic in their choice of lifestyle. Wraith Black Badge is the ultimate gentleman’s GT. A motor car with passion and a darker alter-ego.